Composer, Luthier, contemporary music improviser and guitar recording artist for Universal Canada. Studies at Montreal University faculty of music, master degree in musical composition with Serge Garant, Michel Longtin, André Prévost; électroacoustic studies with Marcelle Deschênes and Francis Dhomont. 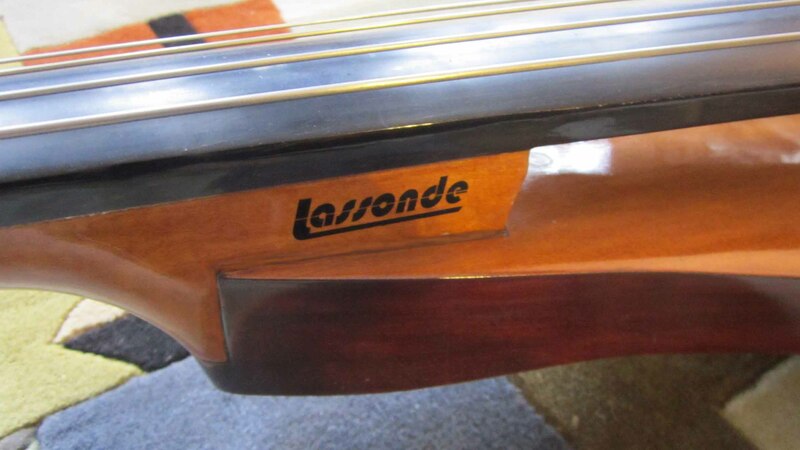 Lutherie studies with Harold Westover, participation as illustrator in the book : Building a Treble Viola Da Gamba: A Detailed Step-By-Step Guide/No 262, author Wolgang Bottenberg. Administrative director (1989-91) of the "Association pour la création et la recherche électroacoustiques du Québec", ACREQ, director of production (1988-89). President and founder of the "Société de concerts alternatifs du Québec", SCAQ (1982). 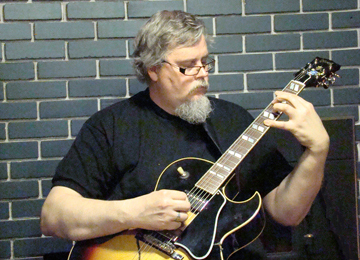 Concert master in classical guitar and gifted guitar improviser in free jazz. Recording SIlène-Décade double CD at Universal Music Canada XXI-CD-1646 and another double CD "Les multiples visages de Silène" at "Société métropolitaine du disque". As a composer of contemporary music, he is an Affiliated Composer at Canada Music Center CMC. The catalog contains pieces for orchestra, different ensembles of chamber music, computerized and electroacoustics music. Often played on the local scene, many renowned artists where associated to his creations (notably: Rina Lasnier of the "Académie canadienne française", Jean-Jacques Nattiez, Lorraine and Pauline Vaillancourt). Sentes aux abîmes des sens was commissioned by ACREQ and created for the opening of the electroacoustics series "Acousmonium" of the festival "Montréal musiques actuelles", New Music America. Recording of a piece on CD "Canadian Flute Quartet" by QuartetLaurier CML CD 104. His compositions and musical interpretations where recorded by "Société RadioCanada", SRC (Alternances, Musique actuelle, Jeunes artistes canadiens) and broadcasted elsewhere in Canada, in United States (ABC), in Germany and in France (France Musique, Radio-France, Communauté des radios publiques de langue française" CRPLF, guest at the "Festival international de musiques expérimentales de Bourges, Synthèse 91"). "My music of poetical nature is based on particular types of instrumentation and sound design to emphasized difference in character. Totally opposed to commercial art, these compositions treat different characteristics of play inherent to the instrument or to the handling of artificial sounds with mysticism. The initial idea is always evocative of the particular world it is creating. The liberty of style tent to try deliberately to go off stream. It suggests an intimate relation between the auditor and personal existential feelings evoke in music hoping to make the listener forgets time... I reject for myself any attempts to commercialize or promote my music, I prefer liberty and privacy. I strongly believe in free access of art in which Internet may contribute. Governments should care for its artists and their organizations; it’s the richness of a country. " c.l.